The victim was found in Conservatory Water, a pond on the east side of the park. 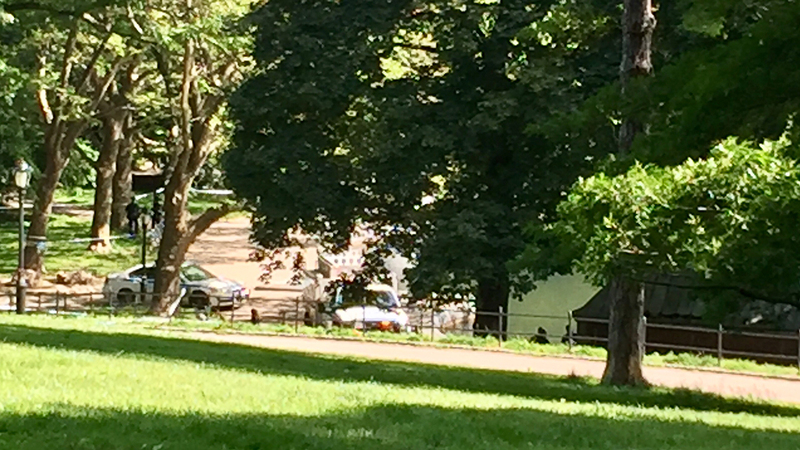 Police are investigating after a man was found dead in a pond in Central Park Sunday morning. The unidentified victim was found at around 8 a.m. in Conservatory Water, a pond on the east side of the park near East 74th Street. The victim was fully clothed and is believed to in his 20's or 30's. He was found by a Good Samaritan who jumped into the water to try to rescue him. It was apparent when his body was recovered that he was already dead. The Medical Examiner will determine the cause of death. It's not clear how long he was in the water. The scene is near the end of the Puerto Rican Day Parade, which marches up 5th Avenue to 79th Street.